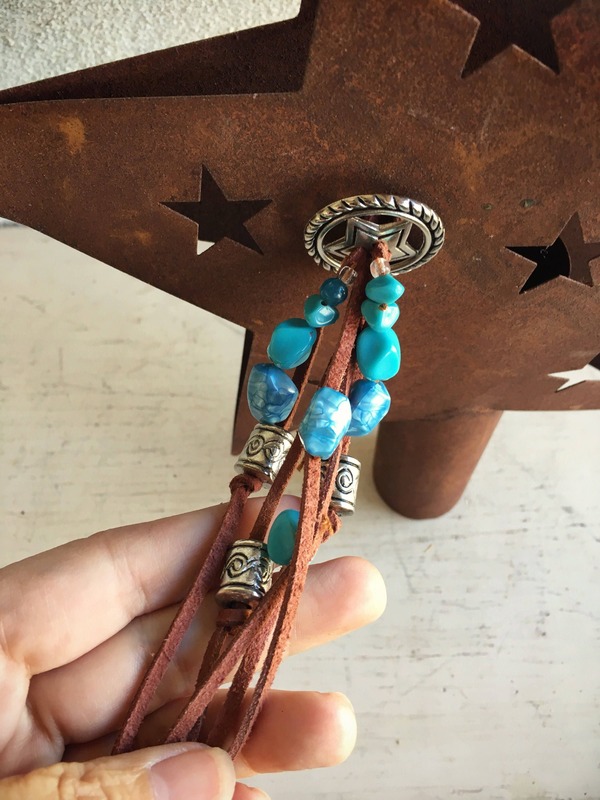 This vintage metal star has Southwestern flair--a faux concho with leather fringe onto which are strung turquoise color and silver tone beads. 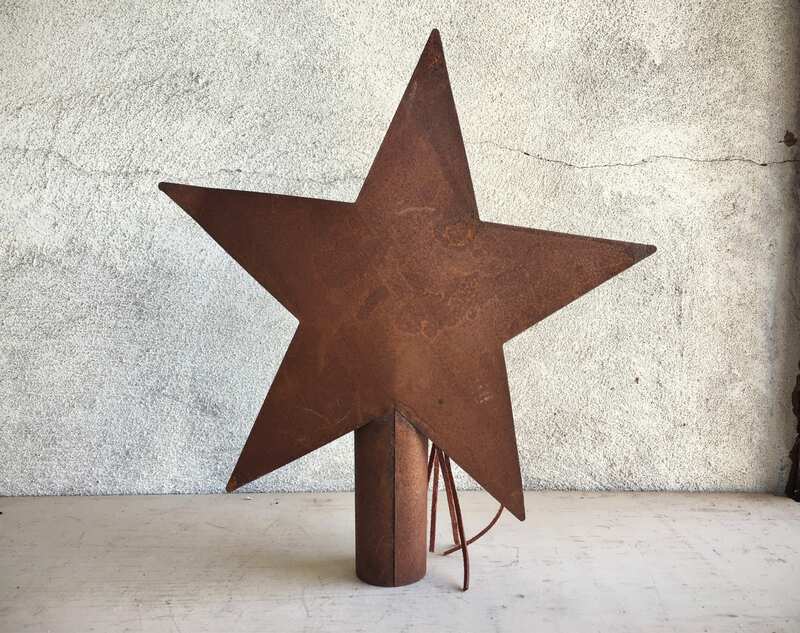 Perfect rusty and rustic star for tree in a Southwestern home, or any home with a primitive or cowboy/ranch look and feel. The star is slightly off center, which adds to its charm. 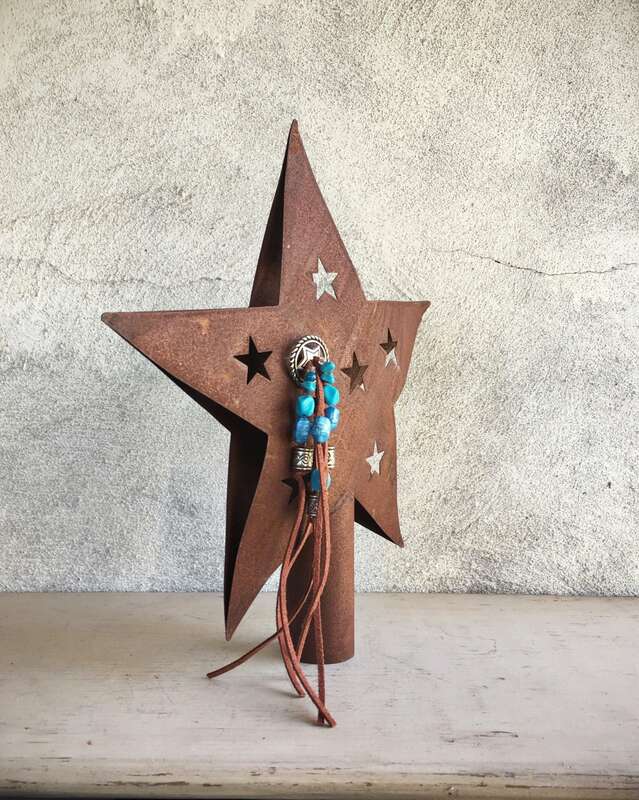 Stars punched into the metal, and the sides are open, so if you place strung lights up into the star, the light will shine out the stars and sides. The star measures 11-1/4" across and about 12" tall including the nib that fits onto the treetop. In good vintage condition. 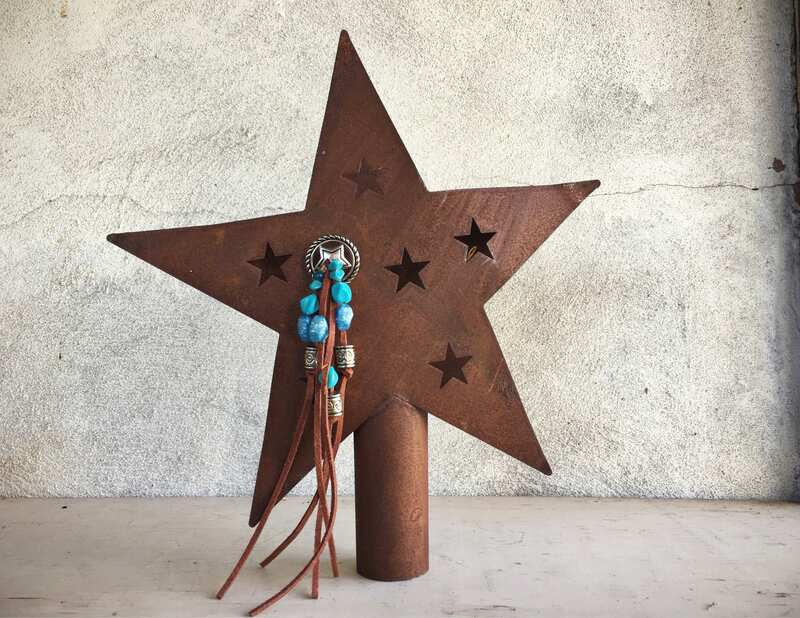 A great big star for the top of the Southwestern tree, bringing light and peace for all to see. 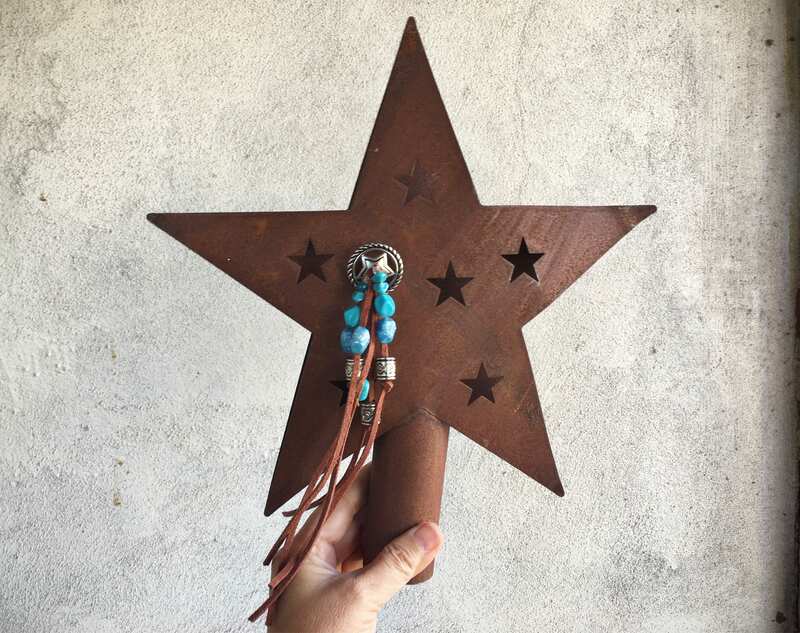 This Southwestern style tree topper was perfect for our 6 1/2 foot tall lighted Christmas cactus. The tree topper is unique and beautiful. It is truly a piece of art. It is well made and was packaged nicely. I highly recommend this artist.